Developed a bit of a man flu. Actually it’s been pretty bad. Still I felt that I should press on because I was all the way out in Sri Lankan hill country and I should see something. Right? After a day of rest on the 27th I decided to take an auto-rickshaw to a place called Haputale. The train line was direct, but the timing wasn’t good. 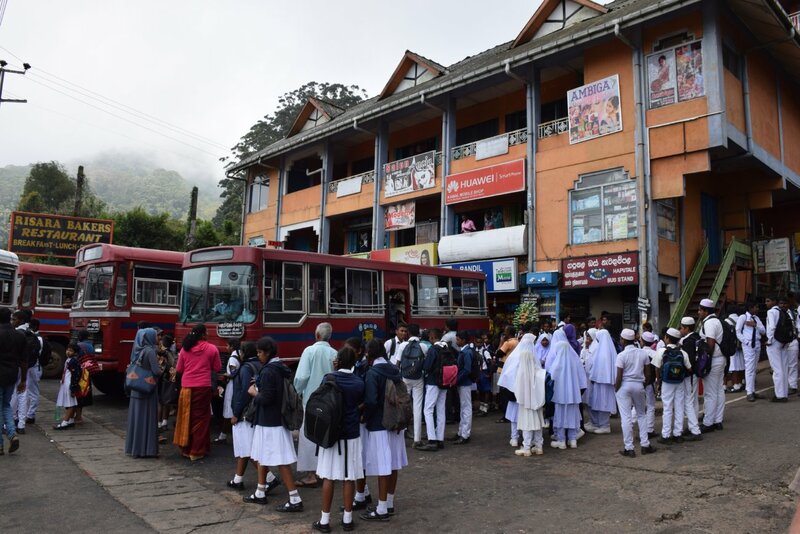 I’d tried the bus to find out I would have to change in Badulla which would have meant a minimum of 2.5 hours each way, if the buses were to meet up properly. So this seemed like the best solution. I have to say, a whole day in an auto-rickshaw though, gets old pretty quick. We set off and checked out a quick garish Buddhist temple near Nuwara Eliya. It seemed to have a strong Hindu influence. From then it was onwards into the hills. Curvy roads, up and down hills. The auto-rickshaw not really made for going up hill. The motor got pretty loud. We stopped at the Adisham Monastery before Haputale, but sadly it was closed to the public, only open on weekends. So it was into Haputale. 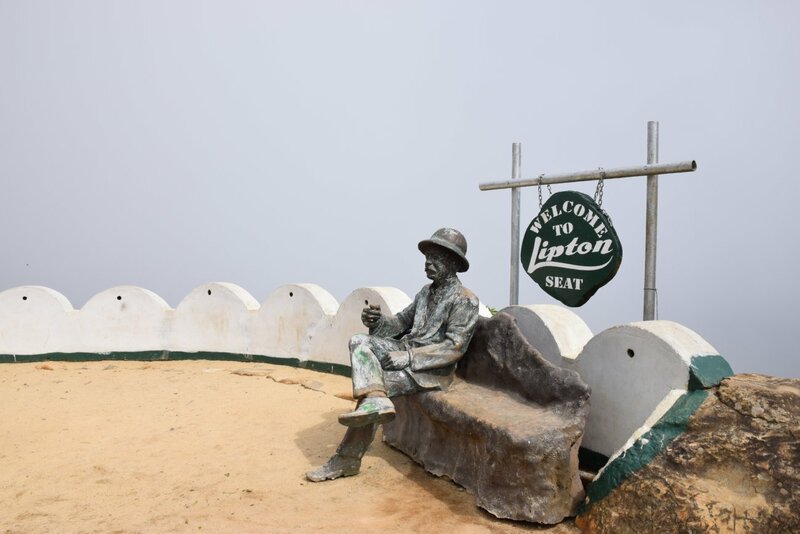 A small town, a bit ramshackle but with character, a quick lunch was followed by a journey up to a lace called Lipton’s Seat, where there is a great view (slightly obscured this day due to cloud cover) of the tea plantations. Oh my goodness, I have seen so many tea plantations since entering hill country! At this point there is a ‘seat’ with a statue of Sir Lipton seated on it. Then down to the Dambatenne Tea Factory. 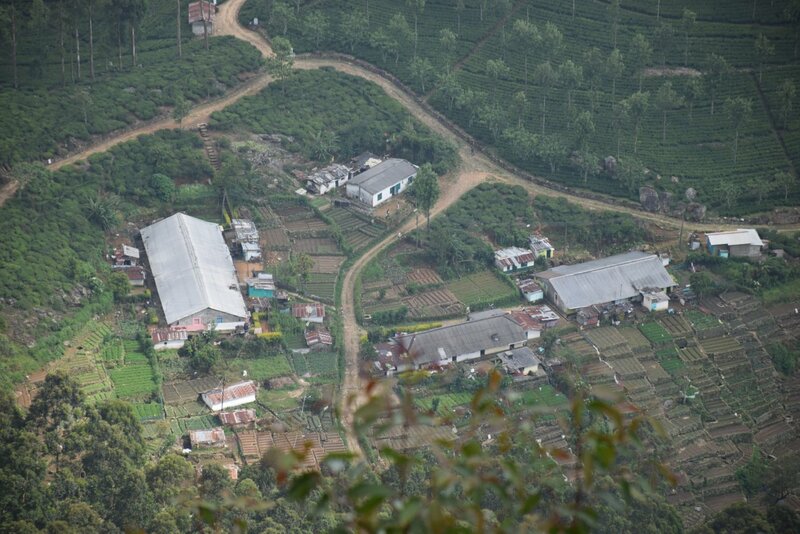 This one was twice the size of the Pedro Tea Factory, collecting leaves from so many plantations in the area. And it was working too, Pedro mostly operates at night, but we saw all the machinery in action which was pretty awesome. That was the extent of the day really. I had to return to my hotel to pack! 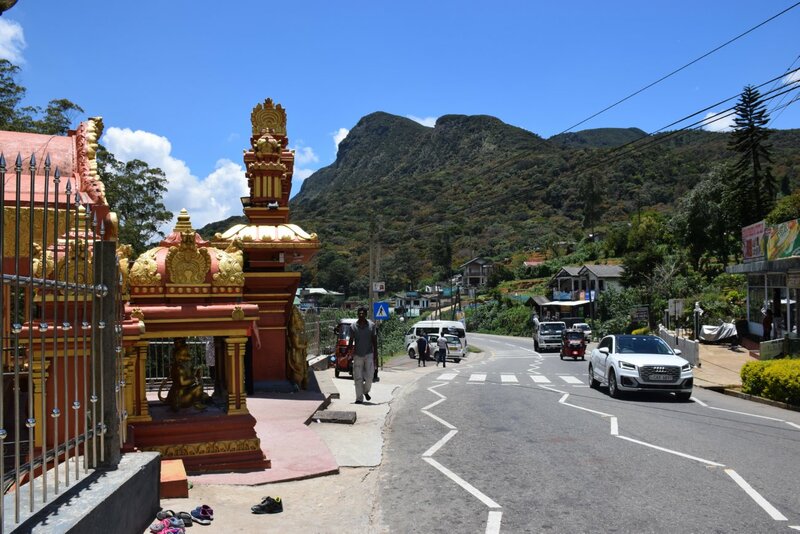 Today I took the train from NanuOya (for Nuwara Eliya) to Ella, a town people have been raving about also in the Hill Country. I was unable to get a ticket reservation, but got a 3rd Class ticket at the station. The train arrived and it was just three carriages long. They did add a carriage at one point plus some rolling stock, but it left NanuOya an hour late and got later as the journey – with amazing scenery I should add – went on. I found Ella a bit unlikable. Full of touts, it felt like a town in South East Asia with tourists overflowing and hotels and restaurants being built at a hectic pace. There were a number of excursions one could take from Ella, but in town in was just this tourit-Mecca, I only had one night and was suffering fever. Still, I headed out to see the nine-arch bridge which was a really interesting rail bridge, 20ish metres from below, despite the fact that trains use it it was covered in tourists. A little surprising, Rain soon swept in and it bucketed down. I’d made it out of the open air just in time. Hopped a train to Kandy this morning. A better ride than yesterday – I was in first class (still less than 10 Australian Dollars. 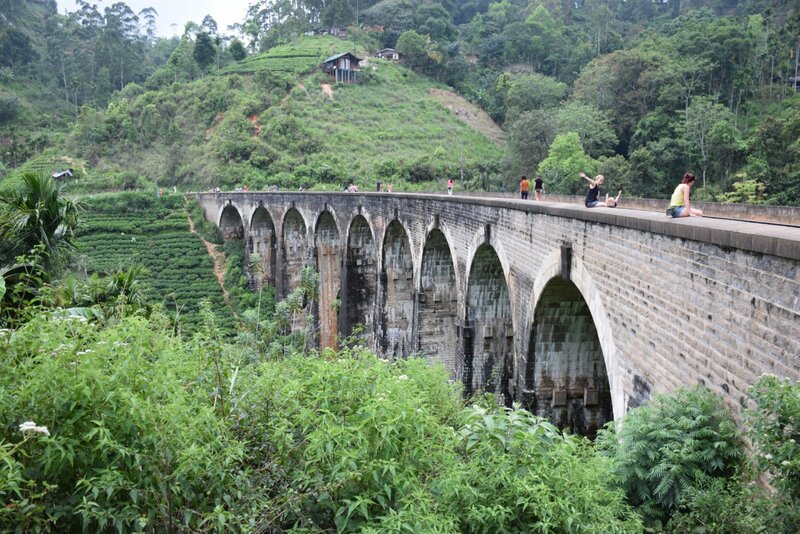 It was back to Kandy for a brief overnight stop, then to Colombo for a few days followed by a trip to the south. My trip has just over a week left! 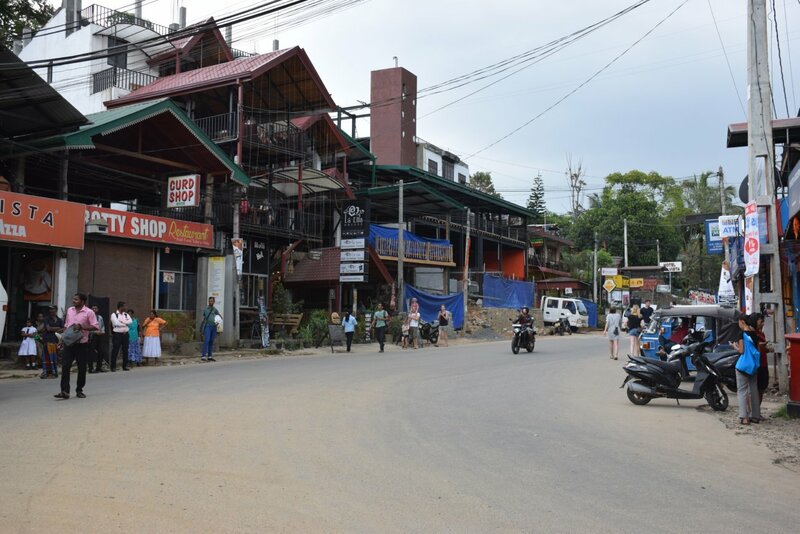 I’m looking forward to Galle and the south of Sri Lanka – so stay tuned! And May the Journey Never End! Great shot of the bridge! I like it!